I’m going to run ten 5k races. Most of my athletic career I’ve been a sprinter. As a high school swimmer, I excelled at the short bursts needed for a 50 year sprint or a relay race. When I would attempt a longer sprinting race like a 200 yard freestyle event, I was normally winded and ready for a nap. The same is true for my long distance running attempts. In college, I ran for the St. Louis half marathon but hit a hiccup 4 weeks before the race. Whenever I ran I glided down the sidewalk with ease, but during my downtime I struggled to go up a flight of steps. Thankfully SLU has a great physical therapy department and I made an appointment with the St. Louis Cardinals physical therapist. Having gone through a similar stumbling block, he sympathized with my situation and broke the news to me that I’ll never be a marathon runner. 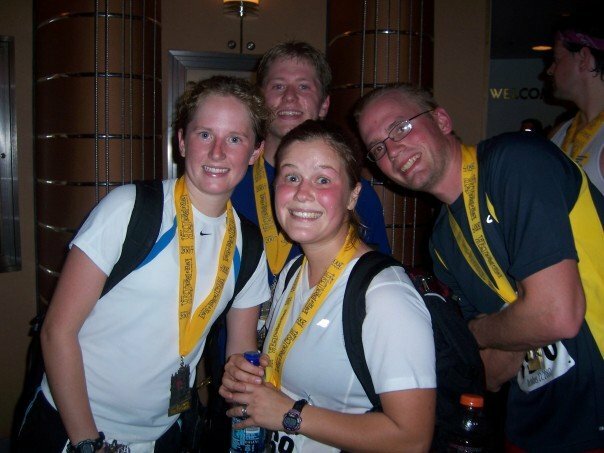 After supplying me with enough anti-inflammatory and pain meds to complete the race, I decided that the 2007 St. Louis Half Marathon would be my first and last half marathon. My knee still acts up when I push myself on runs longer than five miles, which is why a 5k is perfect for me. To kick-off my 25th year alive, I’m going to run the Chicago Monster Dash! It’s a new race for Chicago and I’ve heard from a couple “run nerds” that the race organizers do a great job executing a similar race in Minneapolis. 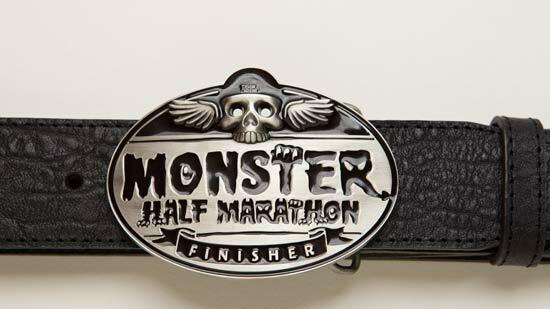 The awesome "medal" half marathon finishers receive. If you’re in the Chicago area this Sunday, Halloween, I hope you’re able to join me! If you aren’t able to join me for the race, I haven’t finalized my goals for 25 and would love for you to leave a couple suggestions in the comments section. I love those ideas. And if the gold tank is in LA, I might be able to accomplish both goals in one weekend! I just hope Jennifer stopping reading my blog. I wish I could but I’ll be in New Orleans for work. If only the race was that Sunday instead of Saturday… Maybe we can do something crazy like the Santa Hustle (http://www.santahustle.com/) in December. I love these ideas and some of them will work perfectly into my list. I especially like the Maxim Hot 100 Party idea – its like the male version of an Oprah taping.